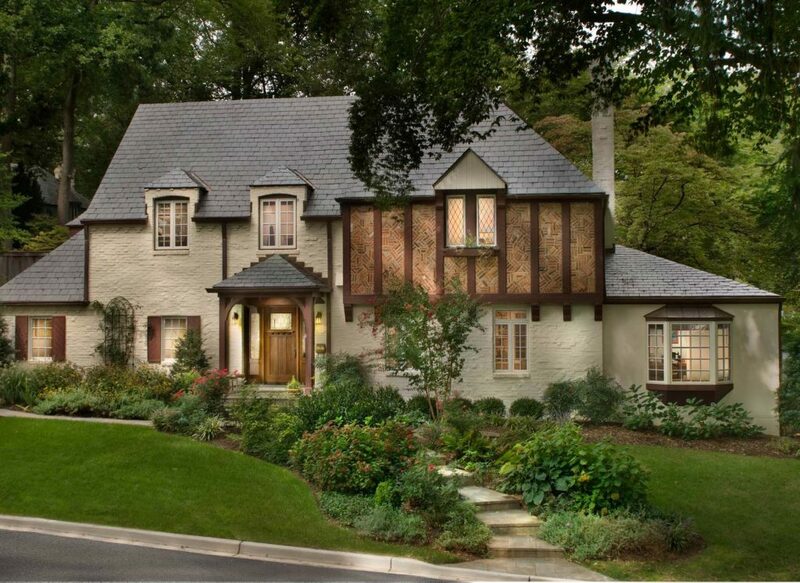 The 1930s-era Tudor home fit right into its historic neighborhood, but the family couldn’t fit all it needed for this decade inside — a larger kitchen, a functional dining room, a home office, energy efficiency. How to get more space with a seemless addition — and upgrade the facade while staying in harmony? 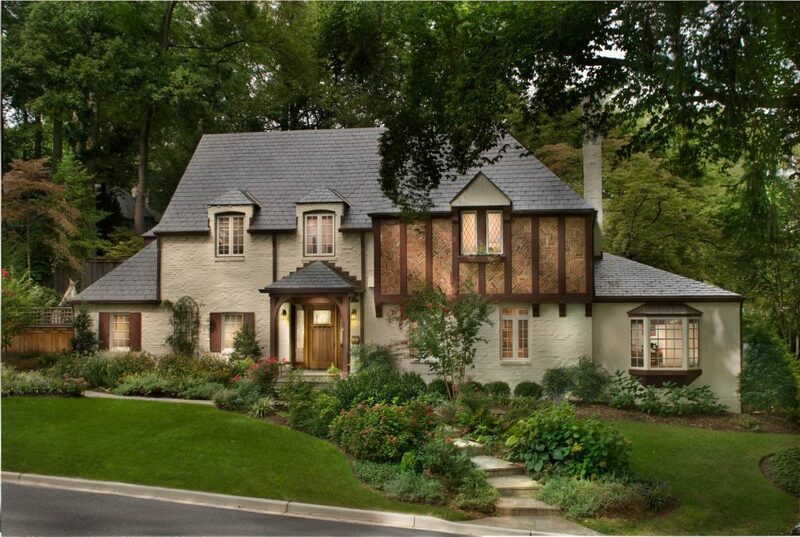 With careful attention and a little design magic: a relocated entrance with custom rough-sawn posts, a Spanish slate roof, copper spouts and gutters, and original brick salvaged from the home’s back and side walls to keep the classic look. Relocating the front entrance carved out ample room for a gracious foyer—with clear sight lines to the expanded dining room and comfortable living room. A mahogany door offers a warm welcome, and new energy-efficient windows beckon in light while keeping the interior climate consistent. Creating a new dining room fit for family and guests granted these homeowners a longtime wish. 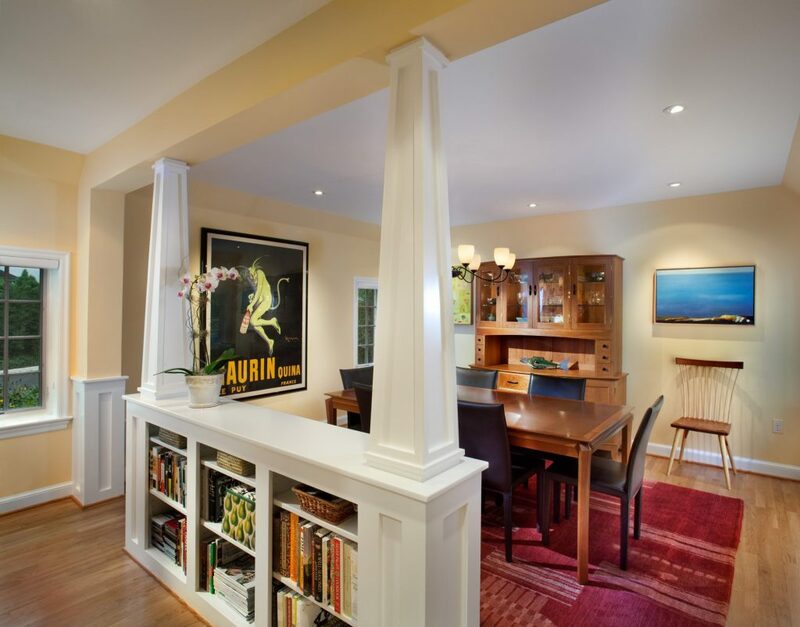 Custom-milled pillars define the space but preserve the open, spacious feel. 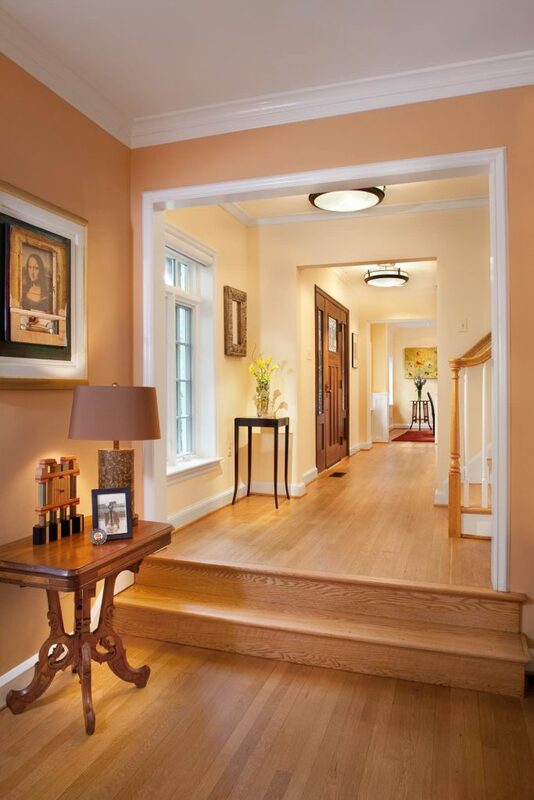 Whenever possible, wood flooring was salvaged for reuse, preserving the home’s materials and traditional good looks. The kitchen grew to become the hub of the home, easily accessed from all areas of the house. Classic cherry cabinetry, stainless steel appliances, honed limestone counters, and a lively tile backsplash of recycled glass are showpieces in this new family center. 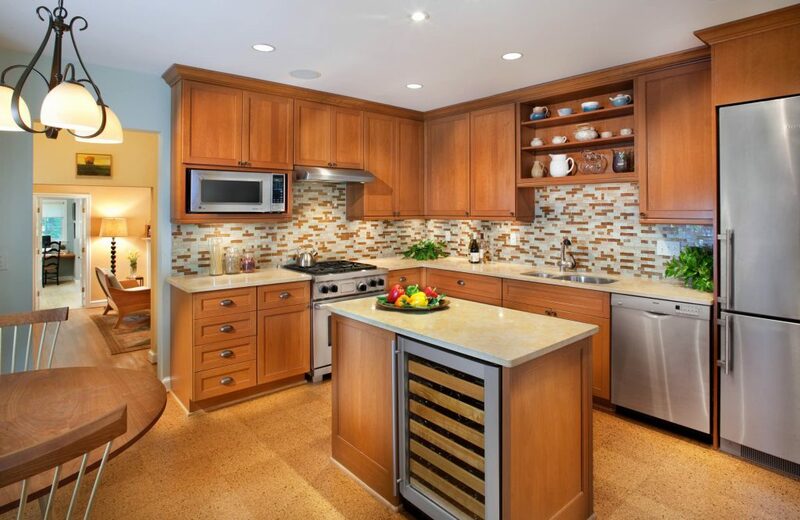 The backsplash, like the cork floor, makes a sustainable statement. 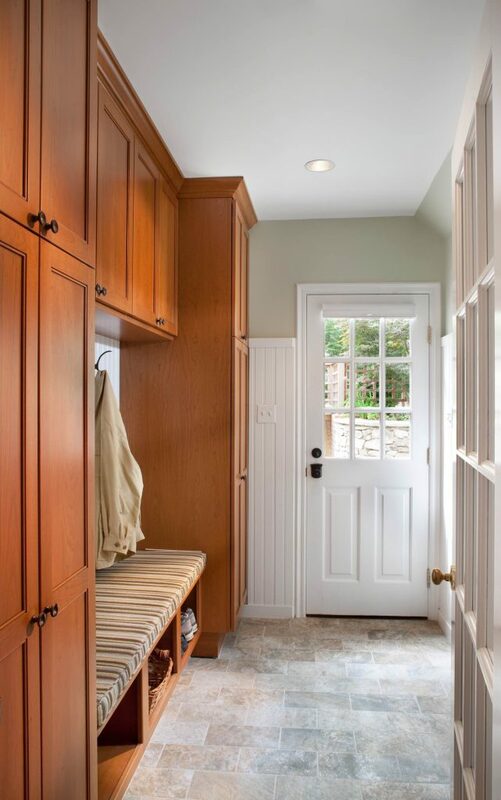 Moving the exterior basement stairs created a new rear entrance and mudroom—and simultaneously solved a long-time water-runoff issue for the clients. The remaining stair wall was underpinned to carry its new load from the master suite above. 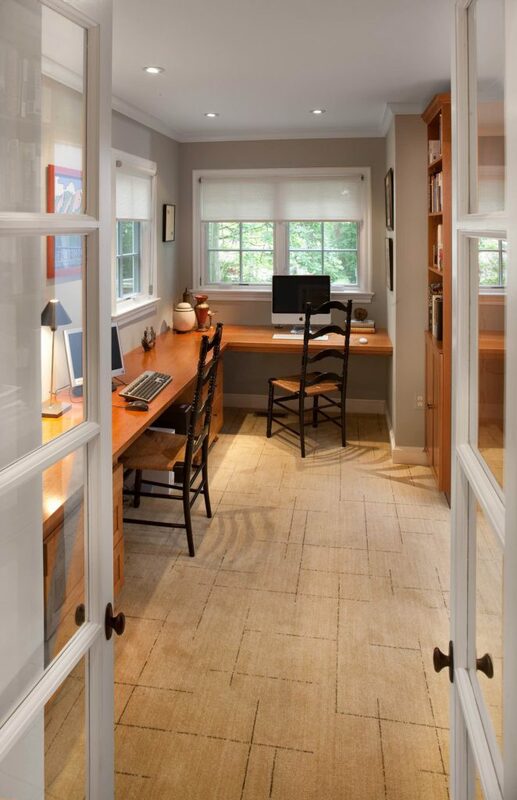 French doors lead to the former sunroom, now enlarged into a home office and family room. A high-efficiency HVAC and air purification system make working at home a pleasure. Downsizing the former garage gave the house more space above. A roomy, reconfigured master bedroom suite now accommodates a sizeable walk-in closet. New spray-foam insulation throughout the house keeps temperatures (and costs) steady and ambience quiet. Replacing an awkward spiral staircase saved room, too, while making access to the third floor easier. 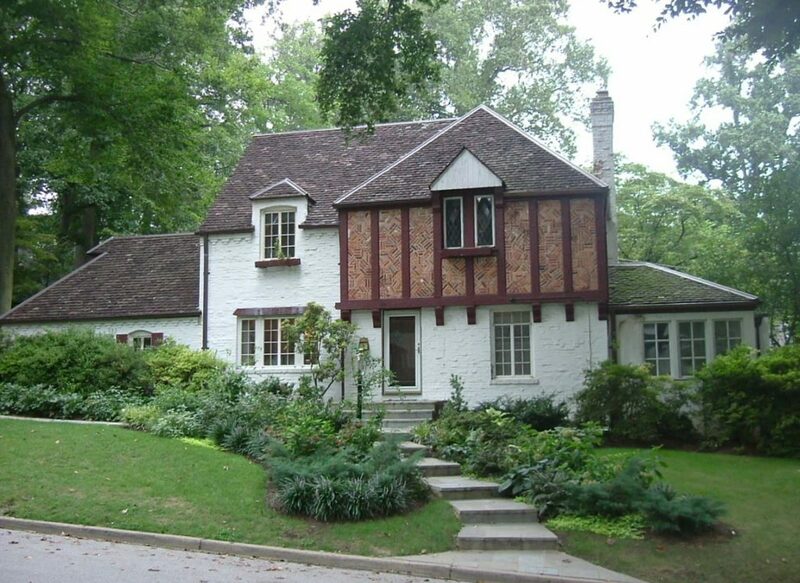 The cherry on top: an additional dormer window. Finding enough space for a modern master bath is often a problem in older home remodels. Reconfiguration does the trick here—creating room for a frameless shower, his and her sinks, a separate toilet area, and a tub with a view.